1. What does PD (pupil distance) mean? 2. What is the difference between Grey #1, Grey #2, and Grey #3? 3. How do I know if my prescription will fit in the style I like? 4. What happens if I am not happy with my glasses? 6. What is a test ride? 7. Can I try on the frames locally? 8. What are the different colors of tint used for? 9. I am interested in getting lenses that change into sunglasses when I go outside. Do you carry them? 10. What about bifocals or progressive lenses? 11. My prescription is outside the listed available range. ? 12. How long does it take before I receive my eyewear and what are the shipping costs ? 13. Should I place a prescription order on the internet without advice from a licensed optician? 14. 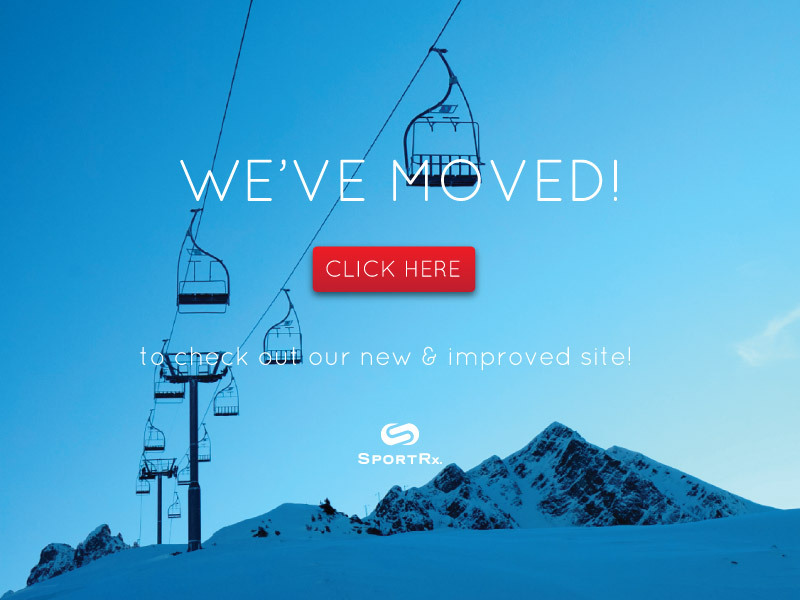 Why should I use Sportrx over my regular optician? A: It is the distance from one pupil to the other. You can get your PD from the last place you ordered glasses. A: Grey #1 is very light, barely noticeable- there is a jump to grey #2 which is a sunshade that you can still see your eye through and grey #3 is a sunshade that you can not see your eye through. A: We provide prescription limitations with all our styles. We also are available by phone, we welcome you to give us a call and we can discuss your prescription, PD, face, shape, general size, and sport to ensure a good fit. A: We stand behind our work! If you’re not 100% satisfied with your glasses, you can return them within 30 days of receipt for a full refund, or credit towards a new pair. Your glasses, accessories and packaging must be in the original condition. If you are outside of the 30 days, call and ask to speak with a sales representative. If your prescription changes within 60 days of receipt, we offer a one-time replacement option. A: All manufacturer warranties apply to your SportRx purchase. Additionally, if your lenses include any of our anti-reflective coatings, we will replace your lenses for free if they get scratched within two years of purchase during normal use, otherwise, we offer a onetime one year scratch warranty. Our warranty policy does not cover loss, theft, or changes to your prescription. A: Our test ride program allows prescription wearers to try on a specific frame before purchasing them in prescription. Call 1-888-831-5817 for details. A: Many brand name styles are available at local sporting goods stores. Please visit the manufacturers web site and enter your zip code to find a dealer near you. If you are unable to do so, please give us a call and ask us about our Test Ride program! A: Yes! Select goggles come with Photo chromic shields. Due to polycarbonate's inherent UV filtering attribute, inserts cannot be made in photo chromic lenses, as the will not change due to the lack of UV light. Please call 1-888-831-5817 and speak with an optician to determine which goggles are available with photo chromic lenses. A: We are proud to offer bifocals and progressive (no-line Bifocals)! We have several different options available. Please call or email us for more information! A: Special orders, like very high prescriptions are handled on a case-by-case basis. For a price quote for your Rx, or for an item not listed on the web site, please call us at 1-888-831-5817. 12. How long does it take before I receive my eyewear and what are the shipping costs? A: No,our licensed opticians are specially trained to assist you in choosing the correct frame for your individual prescription based on your preferred activity. Opticians are trained to help you achieve maximum visual acuity based on your Pd,amount of diopters and any astigmatism.We recommend you take advantage of this free service by calling 1-888-831-5817 (7am--5pm PST). A: Cutting 8 and 10 base lens to fit in a wrap frame is a very specialized process which requires specialized cutting equipment and knowledge.The possibility for optical distortion is much higher than regular frames.We have been processing wrap frames for 13 years.